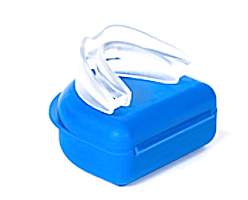 SnoreDoc is a mandibular advancement device (MAD) that experienced a significant amount of popularity primarily because it is an “As Seen on TV” product and the price is right. After all, who wouldn’t pay $40 to stop their snoring? The concept is great. It is durable, easy-to-clean, and utilizes the boil-and-bite method to achieve a custom fit. There are even many people who rave about the results they experienced. Truthfully, SnoreDoc has a lot of potentials, but it also has a few flaws. If some of the problem areas addressed, this could be a great product. Of course, if this was the case it would likely cost a lot more money, too. Most of the suggestions here come from my experience detailed in my SnoreDoc mouthpiece review. We know that SnoreDoc made of thermoplastic material, but one can only assume the material used is not BPA- or latex-free, or the manufacturer would certainly make a point to list this information on the website. By now, you have likely heard the term BPA. Everywhere you turn, you see products wearing the BPA-free label, but how important is that? BPA is an acronym for bisphenol A, and it is a carbon-based synthetic compound introduced in 1957 and used extensively to manufacture plastics and epoxy resins. The problem with BPA is that it exhibits hormone-like properties. It associated with cancer, obesity, neurological issues, reduced thyroid function, asthma, erectile dysfunction, heart disease, and other medical problems. BPA gets in your system after touching a receipt treated with it within only a few seconds. Imagine the damage that could be done having a stop snoring devices in your mouth all night that contains BPA. As for latex, many people don’t know they have a latex allergy until they have a reaction. A safer material would make a better product. SnoreDoc is bulky. So, if this is the first one, you try and hate it, don’t judge all snoring mouthpieces by the invasive design of this one. Larger mouthpieces make your jaw substantially sorer, especially in the temporomandibular joint. It is hard to get comfortable enough to go to sleep, and you wake up more offended than you should be in the morning. If SnoreDoc were a little more streamlined, I know I would have enjoyed wearing it a lot more. Alternately, perhaps the company could offer it in different sizes or make it easier to trim down for a smaller mouth. My wife could not even wear it because the vast scale was causing a constant gag reflex. I appreciate that the MAD can be custom fit at such a lower price, but if it is too large to be comfortable, custom fitting is meaningless. The breathing hole on SnoreDoc is way too small. Imagine the thickness and width of a Popsicle stick. That’s the airflow hole you have to work. Apparently, if you don’t breathe through your mouth, this is not a big deal. If you have a deviated septum, sinuses, or nasal polyps, and you are specifically looking for a product with breathing holes, you may be disappointed in what you get with this one. When my allergies were acting up, I couldn’t wear this device. Plus, the small amount of air that does flow through the hole causes an obnoxious whistling noise. First, let me say that I do not think all MADs need to have the option to adjust lower jaw placement. My favorite MAD is ZQuiet, and it doesn’t allow for adjustments. However, since this is such a stiff, bulky product, I think being able to adjust the lower jaw position would increase comfort and effectiveness.